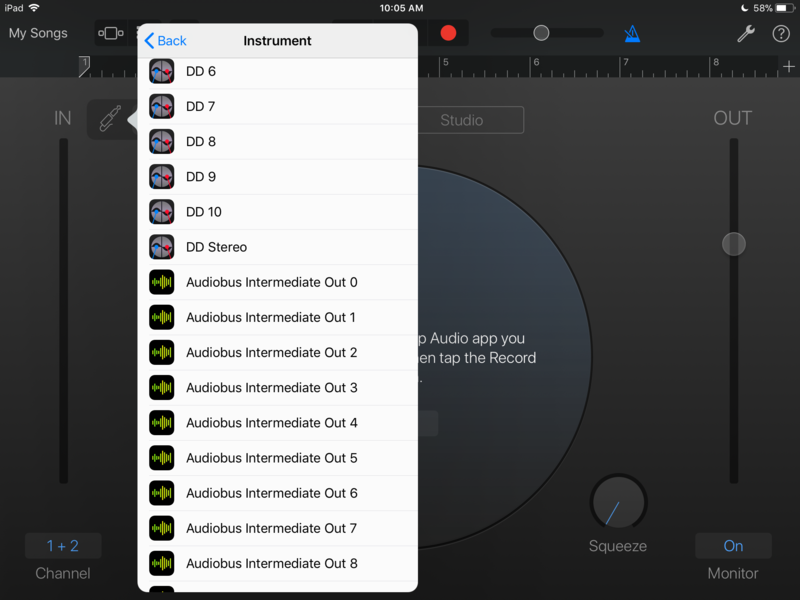 When i choose to use an interapp audio instrument, i have many audiobus intermediate out files listed. How can i remove these files? 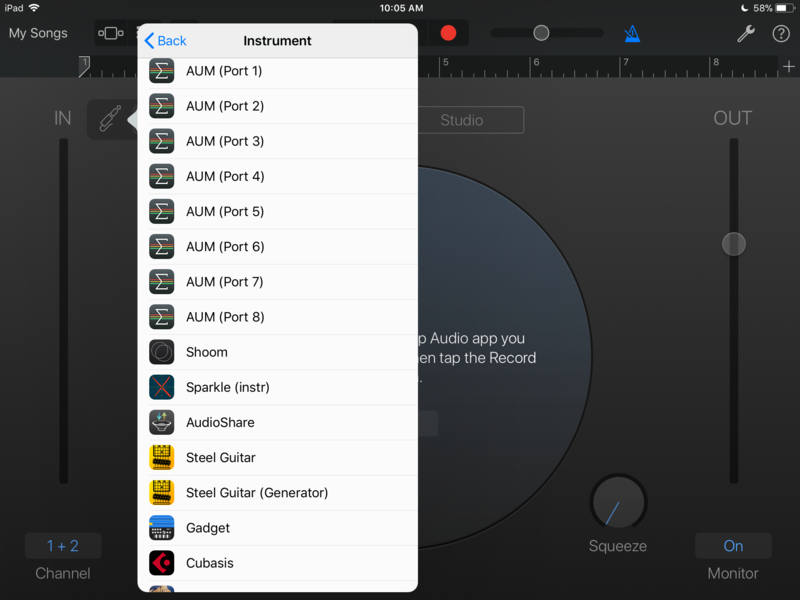 I think this is just how GarageBand displays the choices. 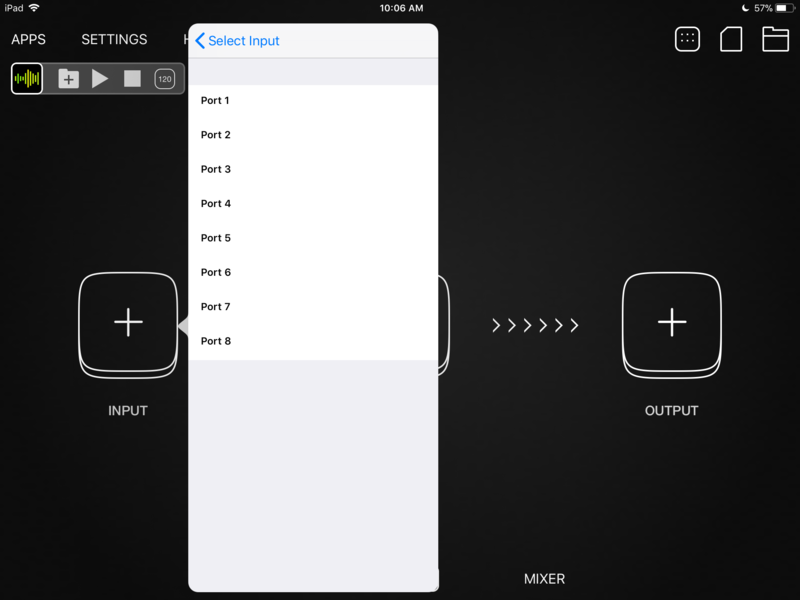 Most apps list one Audiobus choice that expands to let you pick from the multiple inputs. 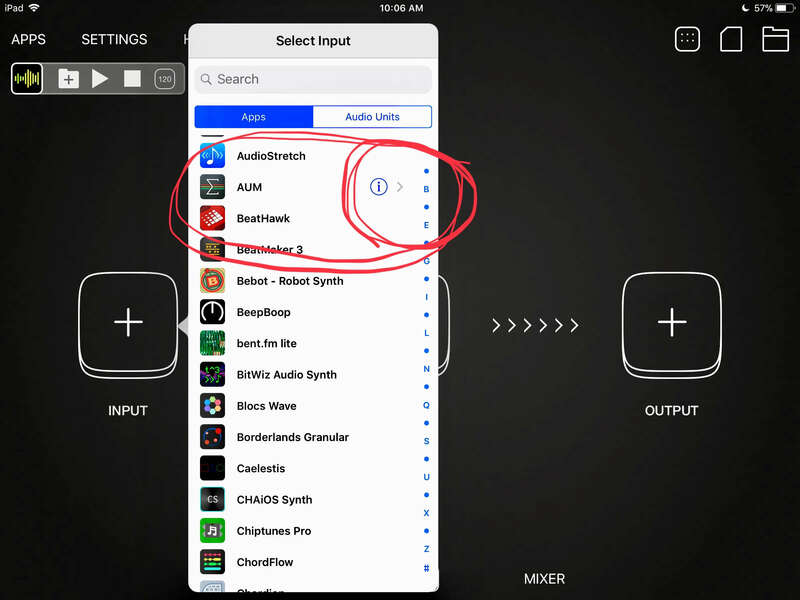 I don’t think there is an option in Settings to change this in GargeBand. I guess if it really bugs you, you could delete the apps from your iPad that you don’t want to see as choices. It only shows what is installed and available. 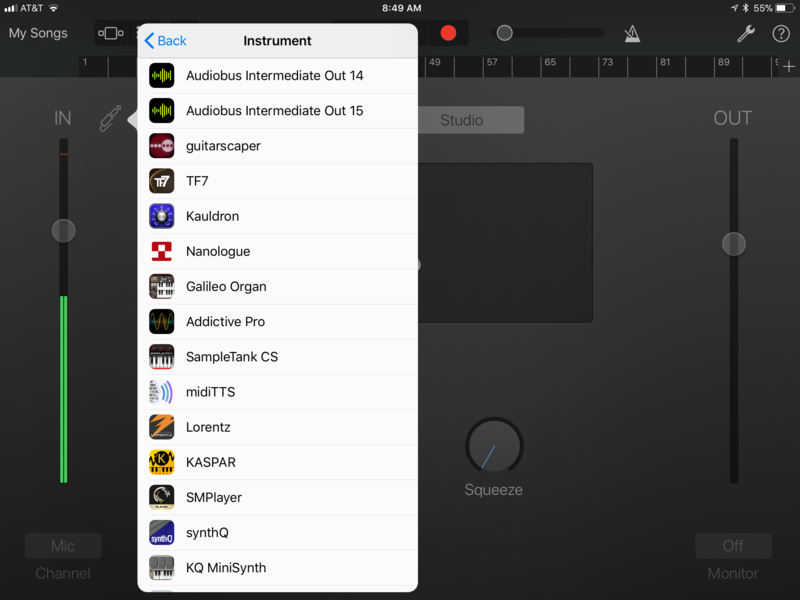 Could it be that GarageBand project somehow 'remembers' each AudioBus-IAA connection it has made? 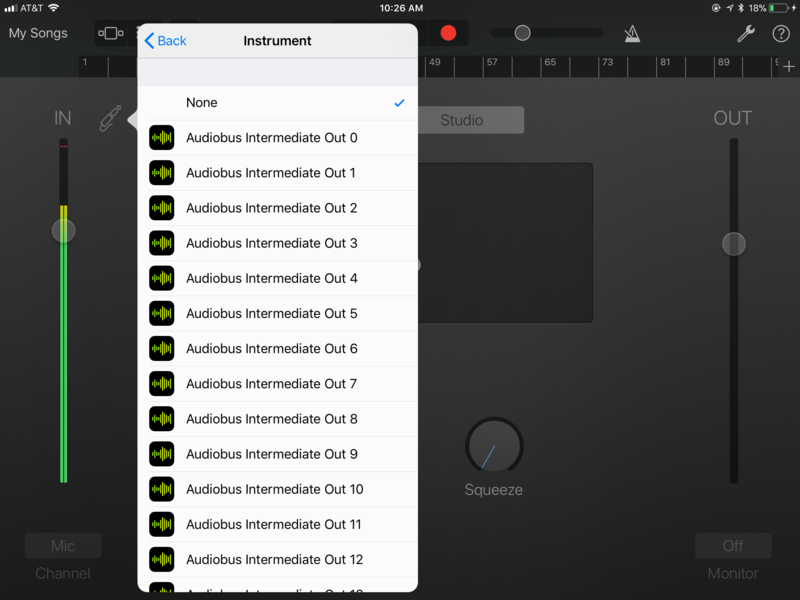 How many GB projects do you have and does it match the number of the Audiobus Intermediate Out's? 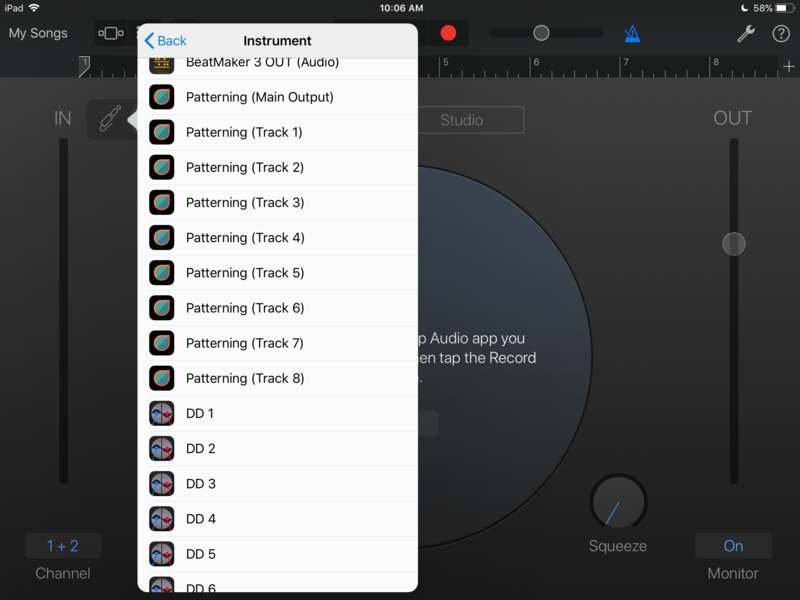 So it seems to be another Garage Band quirk, but not really broken. Just annoying. Or not. Good luck with this. If you figure out how to change it, let us know.